TEX's Comics Quest: The place to find all that comic book knowledge that you can't get in any college! At age twelve, Alexandra Wagner committed one of the most grizzly crimes imaginable: she cut her twin brother to pieces in a bizarre, gory ritual in her parents' home while they were out for the evening. She has passed the last fifteen years in the care of psychiatric hospitals. Her reasoning: there are things lurking in the darkness in our world, things most people don't see, things that must be destroyed. She killed her brother to send his soul on the OTHERSIDE so that he could aid her in the fight in that horrible realm - she believes that he guards her and communicates with her constantly. Her doctors have tried everything, but she remains ever-defiant, ever-confident that her delusions are the true, and that something is coming for us all. Now, Dr. Thomas Hayes, a wunderkind psychiatrist, is ready to take a shot at helping Alexandra overcome her fantasies of invaders from a darker realm. The chemistry between them is instantly great; even Alex's dead brother loves Dr. Hayes. Bolstered by their newfound bond, Dr. Hayes has high hopes that he can rid Alexandra of her delusions...But Alexandra has her own plans. Who will help whom to rid the other of their delusions of what reality truly is? El Torres writes a stellar, gripping first issue to a series that looks to be the beginnings of a modern comics masterpiece of horror. Alexandra Wagner is scarily captivating - she seems to be a monster, a cold, calculating, heartless fratricidal lunatic; however, there are times when she is quite charming, which makes her all the more terrifying. This book explores insanity and asks the reader to accept the possibility that some types of insanity could actually be caused by a clearer view of reality, a reality from which "normal people" hide in comfortable obliviousness. Is Alexandra a hero defending our world from real monsters, or is she really just bat-sh#t crazy? This story is mesmerizing, and paired with Guillermo Sanna's pencils, this book becomes an absolute home run. Sanna's artwork is brilliant; he masterfully pencils expressive faces, gory scenes, moody, dark settings, and hideous monsters panel after panel. Straitjacket is done all in black and white with only the frantic use of dark red for gore - genius. Sanna put on a clinic in creating atmosphere in a comic book. I have to have more. If Amigo Comics keeps this up, they will become the new face of horror in the comics industry. This book has "movie adaptation" written all over it. 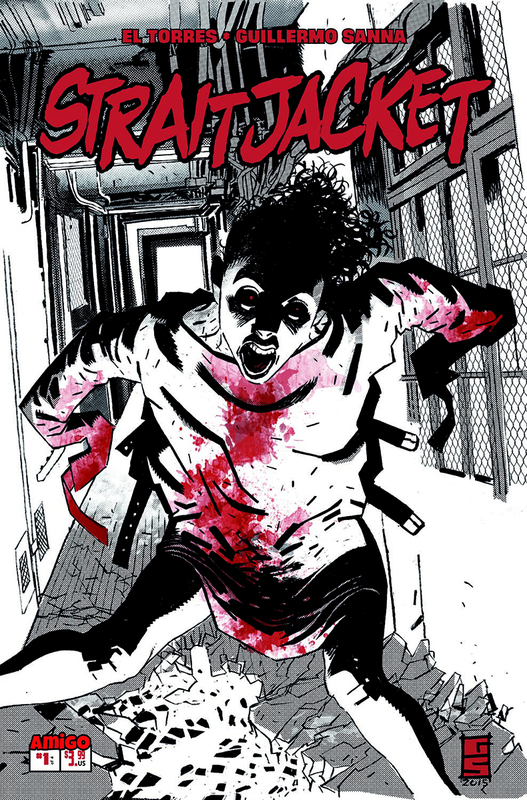 EDIT: I just found out that Straitjacket #1 has a very low print run, so much so that it has streaked upwards in value. Here are some recent eBay sales, FYI. 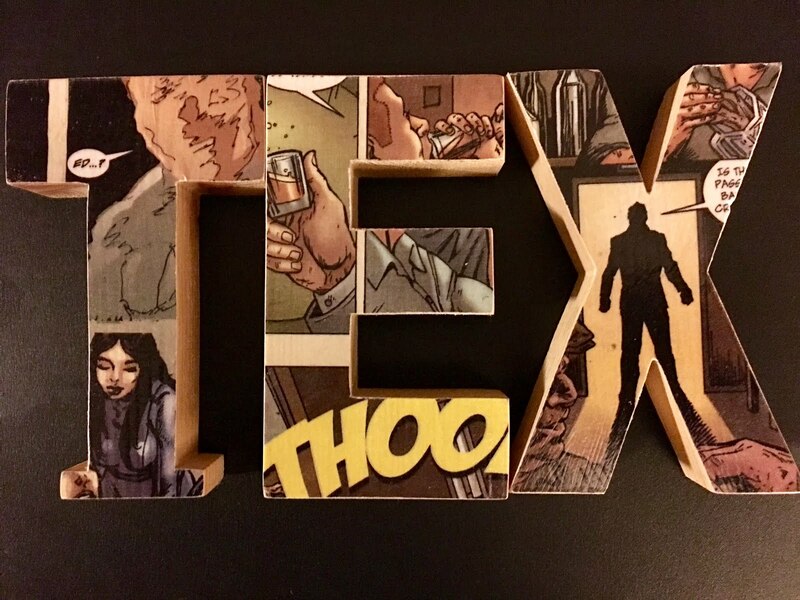 Sounds like an awesome read Tex! great review mate. Will have to look out for issue two now or a T.P.B. Great Maxwell Smart reference, Gil. From what I have read, BC, your LCS wasn't alone in this. I ordered it from DCBS months ago. Supposedly, less than 900 of these were printed. I couldn't even get a hardcopy of issue #2. Issue 2 is also selling for 3-4 time cover!! I know! Crazy, right? Looks like I'll be needing that TPB. Valiant Goes To The Movies!